At a Bronx rally packed with supporters, New York Gov. Andrew Cuomo defended the Affordable Care Act and warned that Congress is abandoning the middle class. “Most families can't spend 20, 30, 40 thousand dollars for private insurance. That is not reality. Most families don't have their names on a hospital wing. That is not reality,” Cuomo said at the event at the Albert Einstein College of Medicine, the affiliated medical school of Montefiore Health System. Montefiore, the Bronx's largest health system, and 1199SEIU, the state's largest healthcare union, filled an auditorium with several hundred executives, employees and union members. 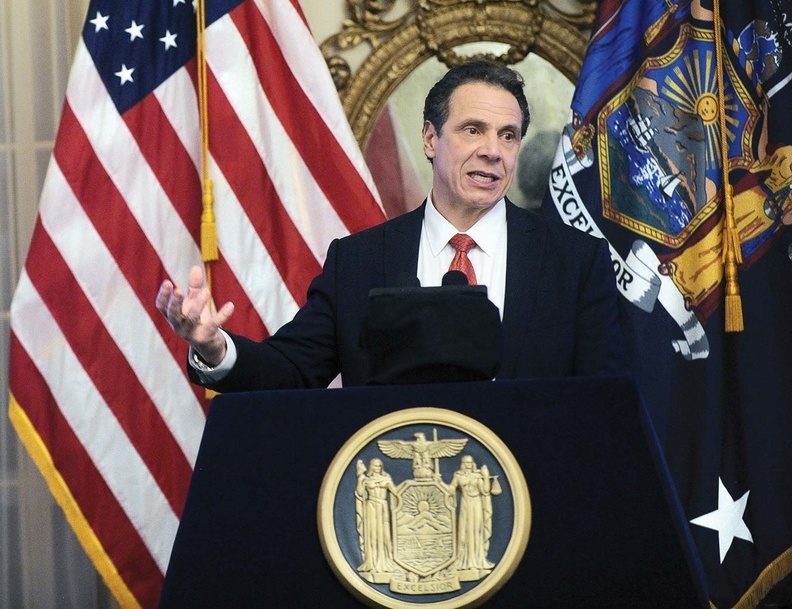 Cuomo said the repeal of the ACA could have a devastating impact on New York, citing estimates released in January that the state's Medicaid program could lose by $3.7 billion in funding and that 2.7 million New Yorkers would lose coverage. He spoke of “healthcare as a human right” and warned of the dangers of people losing their coverage and potentially putting off preventive care. A new bill could make New York the first state in the country to directly compensate living organ donors—who typically donate a kidney or a portion of their liver to a transplant patient—for lost wages, child care and other expenses. The Living Donor Support Act, introduced by Democratic Assemblyman Richard Gottfried of Manhattan and Republican Sen. Kemp Hannon of Long Island, chairman of the Senate Health Committee, has broad support from lawmakers. It already unanimously passed Hannon's committee, and it has 18 Senate co-sponsors and 27 Assembly co-sponsors. “Our goal is to make transplants easy to ask for and easy to give,” said Josh Morrison, executive director and co-founder of Waitlist Zero, a Brooklyn-based not-for-profit that championed the bill. Morrison donated one of his own kidneys as a good Samaritan five years ago at the age of 26.